A cultural-touristic centre of trade history, unique in Hungary, was established here by the restoration of different buildings with different functions, offering interactive and visitor-friendly amusement. The exhibition and conference rooms of the complex that hosts professional events of fire-fighting can serve as a venue for other kinds of events, conferences and meetings as well. The historic building complex with its garden and restaurant provides opportunities for numerous indoor and outdoor activities. It may also become the venue of cultural programmes and other events organised by the city. 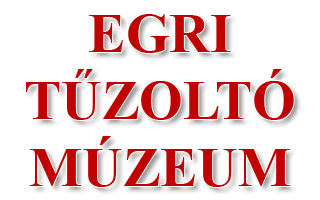 We hope that in our offer you can find the location and programme suitable for you, and you will spread the news of and recommend the renewed Eger Museum of Fire Fighting to your friends and acquaintances. Anybody can find a suitable individual fire-fighting souvenir in the Tűzfészek Souvenir Shop. A children activity room and a playground are available for nursery-school and primary school children in the area of the Museum with regular programmes such as special fire fighting games, skill competitions and handicraft activities. The Multimedia Room upstairs is suitable for organising events, conferences, company meetings and presentations. The restaurant in the Museum Garden provides refreshment. The fire-fighting atmosphere of the restaurant affords unforgettable amusement in addition to the gastronomic specialties.